If you had a bit too much Pinot Noir last night and you're feeling a little "Pinot No Way" today, it helps to have a few hangover cures on hand. Although you might get some success by breaking out your traditional hangover remedy, there are some specific elements in wine that make this type of hangover unique. In order to feel your best the next day, your remedies will need to target the toxins and chemicals in wine. 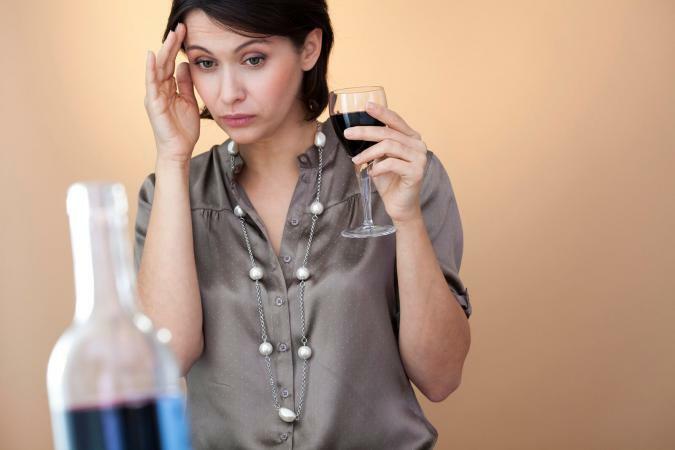 Migraine headaches - Like a regular headache but so much worse, the tannins and other compounds in red wine can trigger migraines in some people. This can happen after only one glass. Congestion - The sulphites used by some wineries to preserve both red and white wines can cause congestion in people who are sensitive to them. Stomach problems - The histamines found in red wine can cause some people to experience digestive issues, including diarrhea. Other people have problems with heartburn from red or white wine. The key to feeling better is to target the substances in the wine that are causing you to feel ill.
Because histamines are responsible for some symptoms you may be feeling, popping an antihistamine may help. According to Health magazine, taking an antihistamine may counteract some of what is going on as your body responds to the histamines in the wine. An over-the-counter option like Benadryl may work, although it can make you drowsy. Fortunately, a little extra sleep can help too. When you have a hangover, you are generally already dehydrated, and it's not wise to consume more diuretics like caffeine. However, Scientific American notes that a small amount of coffee can help counteract the effects of the substances in wine that cause a headache. Keep your coffee intake to a single cup and drink plenty of water with it to help with dehydration. Drinking water after a night of partying is always a good plan, no matter what kind of beverage you were consuming the night before. However, it's extra important with wine. According to the Independant, wines are especially high in sugar. While you're drinking them, this may make your body think it's more thirsty, causing you to respond by drinking...more wine. This is especially true with sweeter varieties. If you forgot to drink water while drinking wine, you can catch up by drink a lot of water the following day. Drinking wine, especially white wine, actually helps aid digestion because it releases additional gastric acid, reports Vinepair. However, too much gastric acid, coupled with an already acidic beverage like wine, can result in some serious heartburn. Anti-acid tablets like Tums can chemically react with all that acid to neutralize it and help you feel better. If your stomach can handle it, some yogurt may actually help you feel better. The Guardian reports that alcohol may actually act to create an imbalance in your gut microbes, the germs responsible for proper digestion. Wine can actually host many microbes itself, not all of which are helpful in human digestion. Replenish your body's supply of "good germs" by consuming some yogurt. The same hangover cures you use after too many mojitos will work with wine too. However, to maximize your chances of feeling better, try some of these ideas that specifically target the compounds and chemicals that can make a wine hangover extra nasty. These techniques, plus a little extra rest, will have you back on your feet soon.